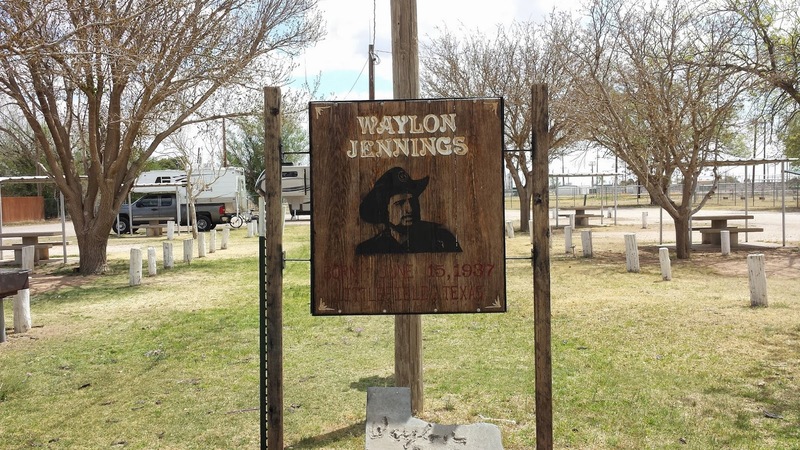 From the Abilene area I traveled northwest through Lubbock to the small Texas town of Littlefield, birthplace of country music legend, Waylon Jennings. In his honor the town named a park (and a lot of other stuff) after Waylon. Ahh the magic four letter word.....Free. 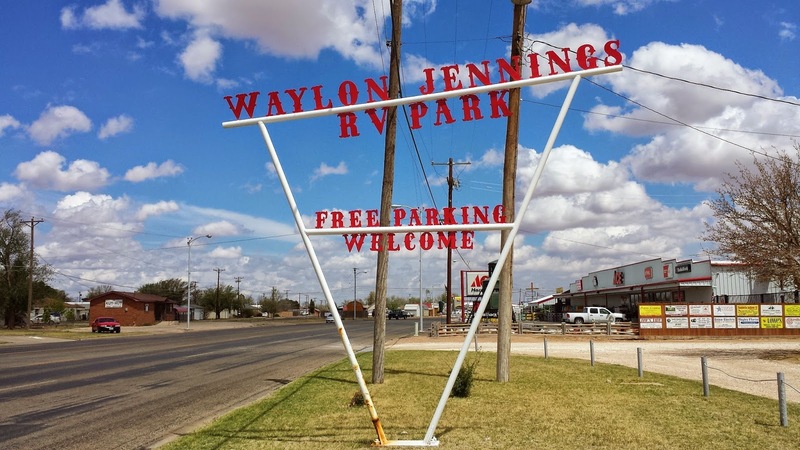 One of the ways small towns like Littlefield entice RVers from driving straight through their city limits is to set up RV parks with free hookups, hoping that during the time their guests are parked there the guests will also engage in economic activity like grocery shopping or dining in restaurants. That's what Waylon Jennings RV Park is and from what I observed during my short stay there the "enticement" works. The RV park itself is part of a larger park complex that has multiple softball fields and the largest horseshoe setup I've ever seen. A sign said Waylon threw the inaugural horseshoe when the park opened. 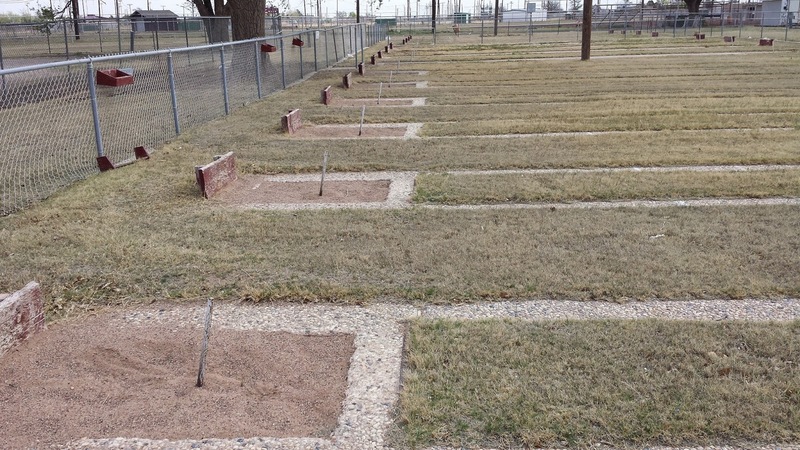 The camp spots and the electricity are free but there is a metal contribution box on a pole in the RV area where visitors can defray the city's costs somewhat, I wrote the city of Littlefield a check for $10 and slipped it through the boxes slot, it was a good deal! Even though the park is on the main north/south highway through Littlefield traffic noise wasn't really a problem. The spaces are on a first come basis so I wouldn't advise trying for one on a Friday evening but it's a convenient, cost-effective stop if you're heading northwest out of Lubbock, say. 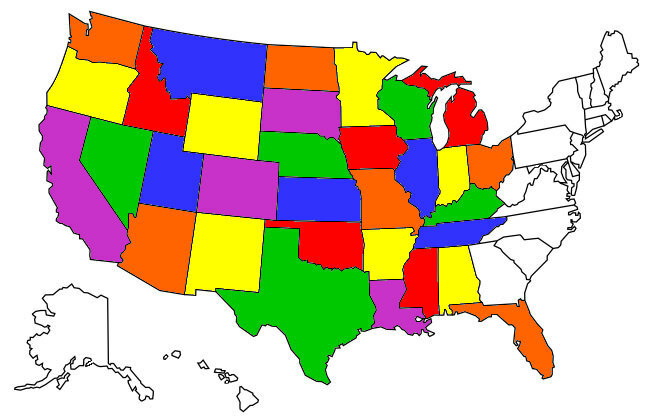 My goal is to get back up into Colorado so I'll keep moving north and west.